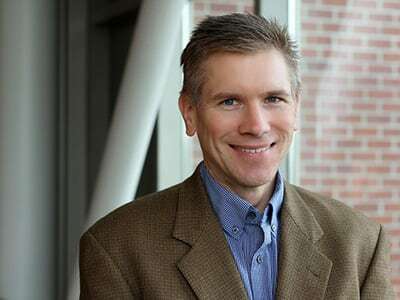 Before joining the Lundquist college faculty, Professor Pangburn taught at Penn State and earned his doctoral degree in 1997 from the University of Rochester's Simon School of Business Administration. His research interests include retail inventory management, supply chain coordination, capacity and pricing strategies, product versioning, and operations/marketing interfaces. Professor Pangburn teaches courses in both the operations and MIS (Management Information Systems) domains. Aydinliyim, Tolga, and Michael Pangburn. "Reducing Packaging Waste and Cost via Consumer Price Discounts." Decision Sciences 43, no. 6: 1063-1089. https://dx.doi.org/10.1111/j.1540-5915.2012.00385.x. Pangburn, Michael, and Shankar Sundaresan. "Capacity Decisions for High-tech Products with Obsolescence." European Journal of Operational Research 197, no. 1: 102-111. https://dx.doi.org/10.1016/j.ejor.2008.05.026. Pangburn, M., and E. Stavrulaki. "Capacity and Price Setting for Dispersed, Time-Sensitive Customer Segments." European Journal of Operational Research 184, no. 3: 1100-1121. https://dx.doi.org/10.1016/j.ejor.2006.11.044. Balakrishnan, A., M. Pangburn, and E. Stavrulaki. "Integrating the Promotional and Service Roles of Retail Inventories." Manufacturing and Service Operations Management 10, no. 2: 218-235. https://dx.doi.org/10.1287/msom.1070.0171. Balakrishnan, A., M. Pangburn, and E. Stavrulaki. "Stack them High, Let ‘em Fly: Lot-Sizing Policies when Inventories Stimulate Demand. " Management Science 50, no. 5: 630-644. https://dx.doi.org/10.1287/mnsc.1040.0228. Balakrishnan, A., J. Geunes, and M. Pangburn. "Coordinating Supply Chains by Controlling Upstream Variability Propagation." Manufacturing and Service Operations Management 6, no. 2: 163-183. https://dx.doi.org/10.1287/msom.1030.0031. Balakrishnan, A., H. Natarajan, and M. Pangburn. "Optimizing Delivery Fees for a Network of Distributors." Manufacturing & Service Operations Management 2, no. 3: 297-316. https://dx.doi.org/10.1287/msom.2.3.297.12347.